Construction of what will be the world’s highest observation wheel, located in Dubai, has reached a significant milestone according to its developer, Meraas. 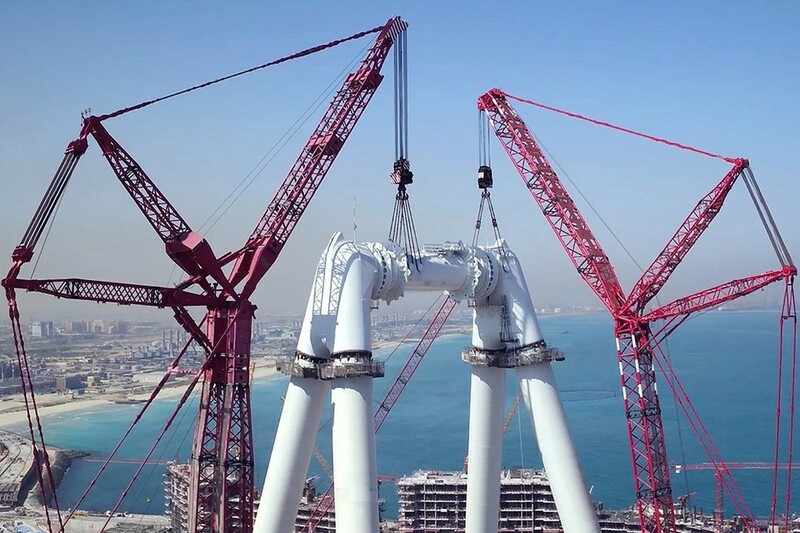 Ain Dubai, which is taking shape on Bluewaters Island in front of the Jumeirah Beach Residence coastline, has had its hub and spindle lifted into place, creating a new feature on Dubai’s dramatic skyline. They were manufactured and assembled in the UAE and shipped to Bluewaters Island due to their size – the spindle has a diameter of 6.25 metres and is made of steel that is similar to that used for nuclear power plants. The assembled hub and spindle is approximately 40 metres long and 20 metres high and weighs 1,805 tonnes, which is equivalent to four Airbus A380 aircraft. The hub will later be connected to the rim via 192 spoke cables, with the structure then resembling a gigantic bicycle wheel. 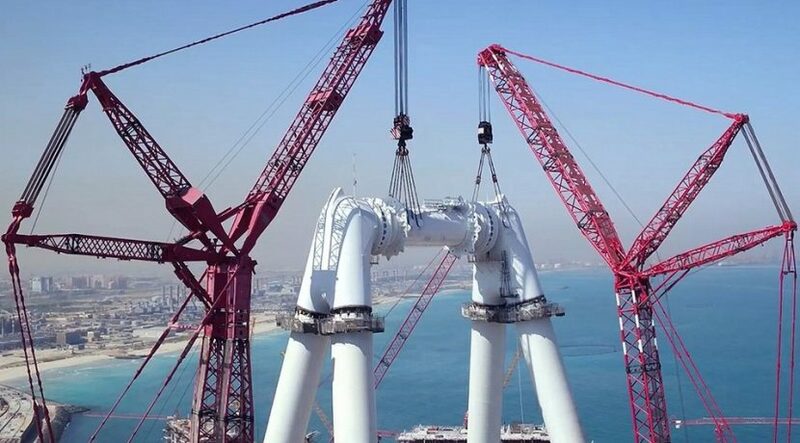 Construction of the project has been made possible with two of the world’s largest cranes, each boasting a 180-metre-long boom and lifting capacity of more than 3,000 tonnes. “Once completed, Ain Dubai will emerge as an engineering masterpiece, the first of its kind in the industry, and a truly spectacular must-visit attraction, adding a unique experience and vantage point to the list of things to do in Dubai,” said Omar Delawar, the chief projects officer at Meraas. Ain Dubai, previously known as Dubai-I, is set to become the main attraction of Bluewaters Island, which will also feature entertainment, retail, residential and hospitality offerings.